Adesola Afolabi is Businessamlive Reporter. You can contact her on adesola.afolabi@businessamlive.com with stories and commentary. 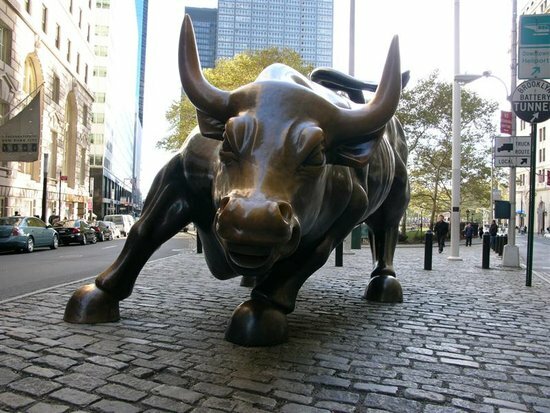 The bulls continued their firm hold of the stock market during trading today, with bargain hunting in heavy weight banking stocks and few other bellwethers contributing to a sustained growth in the All Share Index (ASI) which rose by 2.0 percent to settle above 31,000 basis points on Thursday. The ASI improved further as share price appreciation was recorded in Guaranty Trust Bank (+9.5%), Zenith (+7.2%) and Dangote Cement (+1.2%). Consequently, market capitalization improved to N11.7 trillion as investors’ wealth increased by N228.1 billion turning year to date returns into positive territory. Activity level also improved as volume and value traded both increased 21.8 percent apiece 436.7 million units and N5.9 billion respectively. Banking stocks led both the top traded stocks by volume and value as UBA (136.8m), Zenith Bank (63.4m) and Access Bank (44.4m) were the top traded stocks by volume, while Zenith Bank (N1.5bn), Guaranty Trust, GTB (N1.2bn) and UBA (N987.1m) were the top traded stocks by value. Sectoral performance was positive with the banking sector leading gains (5.8%) due to gains in GTB and Zenith. The Consumer Goods and Industrial Goods indices followed, rising 3.4 percent and 1.5 percent respectively as prices of Nestle (+0.7%), Dangote Sugar (+6.3%), Dangote Cement (+1.2%) and Lafarge WAPCO (+2.5%) appreciated. Furthermore, the Oil & Gas index reversed its bearish performance, up 0.8 percent as Forte Oil (+10.0%) and Oando (+1.0%) advanced. Lastly, the insurance index improved by 0.5 percent driven by AIICO (+7.1%). Investor sentiment improved significantly as 25 stocks appreciated while 12 stocks declined. Forte Oil (+10.0%), Unity Bank (+9.8%) and GTB (+9.5%) were the top performers while the worst performing stocks were Transnational Express (-8.7%), Royal Exchange (-7.1%) and Learn Africa (-6.7%). “The strengthening sentiment in the market shows buying appetite of investors, which we expect to persist in the near term,” analysts at Afrinvest said. Adding that investors should cautiously take advantage of bargains in fundamentally sound stocks.